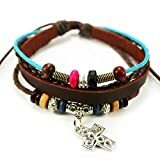 No fuss slip on stretch bracelet! 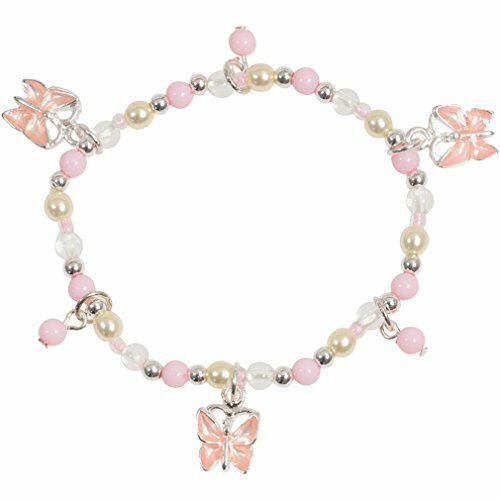 Pretty as a butterfly - your little girl will adore this butterfly themed bracelet. Full of sugar and spice and everything nice, the bracelet features pastel pink enamel butterfly charms and soft pink dangling beads. The stretch bracelet features beautiful faux pearls and pink, clear and silver tone beads for that "look like Mom" style at a reasonable price. 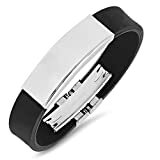 The bracelet measures 5.5" around and .1" wide. The butterflies measure .3" in height and width and dangle approximately .6" from the bracelet. Perfect for the sweet little girl in your life.